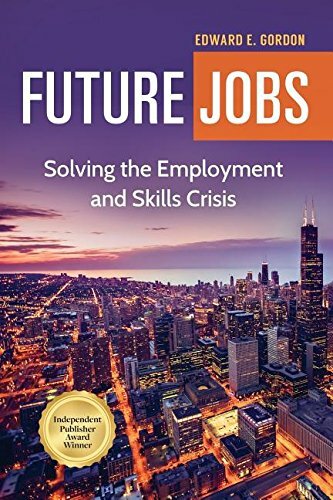 Future Jobs is now available in paperback as well as a hardcover and e-book. This independent Publisher Book Award winner has a new preface by author Edward Gordon. View publication information on this title that persuasively documents the global jobs and skills disconnect and shows how community organizations, businesses, government agencies, and schools are forging cross-sector partnerships to successfully address this growing talent mismatch. Training and development expenditures of businesses rose 32.5 percent from 2016 to 2017 due to skills shortages becoming more acute. The escalating pace of technological change is now making lifelong learning essential. Employment Relations Today, Spring 2016. After focusing on the range of socioeconomic forces driving today’s talent-creation crisis, Ed Gordon reports on how RETAINs are successfully rebuilding education-to-employment pipelines. Surveys show that HR professionals are experiencing increasing difficulty finding skilled talent and CEOs worldwide rank skill shortages as major threats to their businesses. This article analyzes the varid responses of U.S. companies to this human-capital challenge. Career Planning the Adult Development Journal, Summer 2015. In international assessments the U.S. Millennial Generation, now the backbone of our workforce, scores poorly in reading, math, and problem solving. Surveys indicate that U.S. businesses find many applicants’ skills deficient, yet business investment in training generally remains low. Ed Gordon finds that a new DEAL — Demographics, Education, Automation, Longevity — is shaping today’s U.S. job market. He points to the promise of RETAINs in coordinating business-education partnerships that prepare people with the skills needed for today’s jobs and careers. Citing the near record low U.S. labor participation rate and the escalating number of baby-boomer retirements, Ed Gordon contends that talent creation needs to become a major U.S. labor-market focus. He finds that collaborative regional partnerships can be an effective catalyst for trackling the talent challenge on a variety of fronts. Communications of the ACM, March 2015. There is a shortage of computer technicians who perform the vital functions of operating and maintaining the information infrastructure. Education systems at present offer too few venues for training people to be IT technicians. The authors point to a variety of options for expanding such training. Re-shoring or bringing manufacturing and service sector jobs back to the United States is in the news. It is dependent on finding qualified workers. Ed Gordon explores the variety of ways that RETAINS can promote the development of a skilled workforce.